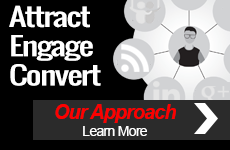 This past month, insight provided by TopRank® Online Marketing was featured in online publications including Mashable, Search Marketing Standard and WebProNews. With the rapid evolution of social media, creation of new and fresh content isn’t just expected, it’s demanded. This demand is coming from, in equal parts, both search engines and consumers. As such, no online marketing program is complete unless it encompasses components of both Search Engine Optimization (SEO) and social media marketing. 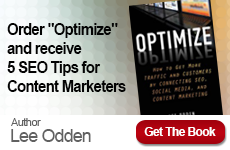 Mashable, perhaps the world’s largest dedicated source for social media news, recently published 5 Essential Steps to Make Your Site Search & Social Media Friendly, by TopRank CEO Lee Odden. These steps, including consistently creating new, compelling content – and making it easy for readers to share – are designed to send signals to both websites and consumers that that there is ample reason to both visit and return to your site. A cornerstone strategy to any SEO program, and vital to search engines being able to properly crawl your website and rank it for priority keywords, is the acquisition of Inbound Links. The vitality of linkbuilding was highlighted this month by Search Marketing Standard which included Lee Odden’s post, Strategic Link Building for SEO, in its Editor’s Picks for the week of June 15th. Online press releases and paid job listings are just two of several strategic link building ideas shared in this post. In the year 2525, will your online reputation still be alive? Or, will the web become so saturated with all of our misgivings that it will be impossible for future schools, employers or girlfriends to judge our online behavior as “good” or “bad”? TopRank® Online Marketing provides Fortune 500 companies holistic Internet Marketing services, including social media marketing, search engine optimization and blog marketing.